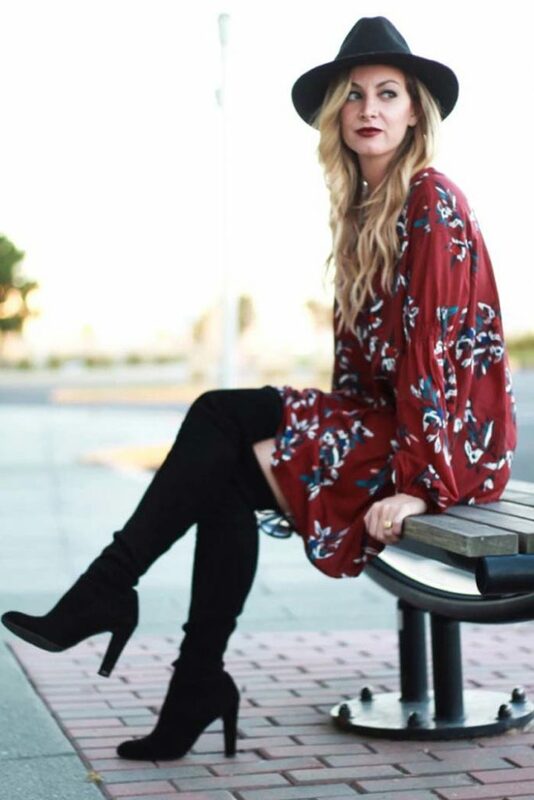 Fall is the best time to invest in a new pair of boots. If you think about it from a trend perspective, the silhouette you choose will last you well into next year, and all the styles here are appropriate for each and every month. You might be sporting your cowboy boots with a floral midi dress now, but work them with a cozy shearling coat and thick denim come Winter, and you've got a whole new look on your hands. Boots are so popular (come on, who doesn't love 'em?) that it was hard to narrow down our list to the top five pairs you need. Instead, take a look at the seven shapes that are making it big this season, along with our favorite iterations at a variety of price points. Cowboy boots take all forms for Fall 2018. Rihanna's Off-White x Jimmy Choo style has a puff effect that make these instantly noticeable on the street, but the shape is perfectly trendy, and we're seeing lots of Western boots that come to this height and stop right at the shin. Gigi Hadid's Fendi boots came right off the Fall 2018 runway, and their milky-white colorway lent her neutral street style look a luxurious touch. Karl Lagerfeld's take includes Western-inspired stitching, but you can also stick to a more modern, clean version of the boot that stops right at the knee. Think of this silhouette as the new thigh-high. Whether you prefer leopard, snake effect, or even zebra (looks like Gwen Stefani's a fan of leopard), animal-print boots are a clear must have at all heights. See Kim Kardashian's snakeskin Yeezy stunners for proof. This boot shape tends to elongate the legs, depending on how high your lace-ups travel up the leg. Their vintage appeal is a fun way to mix modern pieces, like Tracee Ellis Ross's distressed denim, with something more old school. The '80s bootie usually has a pin-thin heel and hits at the ankle. For Fall 2018, its most popular colorways are black, cherry red, white (like Ashley Graham's pick), and even snakeskin. This silhouette has stuck around for a while now, and to style it most simply, you can use it to make skinny jeans and a tee feel seriously trendy. Hailey Baldwin is a big fan of the '90s combat, as are so many of the other supermodels who really pioneered this trend months ago. Some of the more recent iterations have contrast laces or thick platforms that add extra height. Work them with an oversize denim jacket like Haileyto play up the grunge effect. 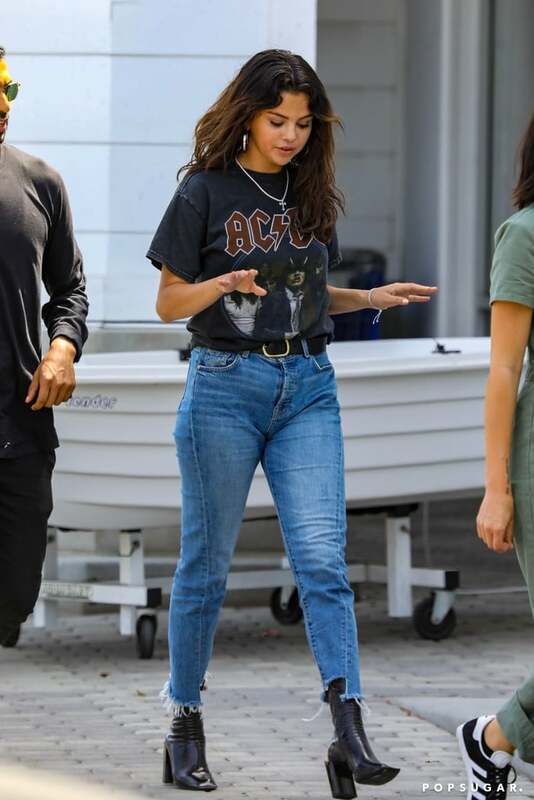 Whether you prefer patent leather in any shade, like Selena Gomez's Balenciaga boot, or a gold and silver boot with a metallic finish, these make the most impactful statement of all, and they'll help you make a flash when you step onto the street. Sometimes, the outfit revolves around the shoe, and when it comes to high shine boots, that is the case.